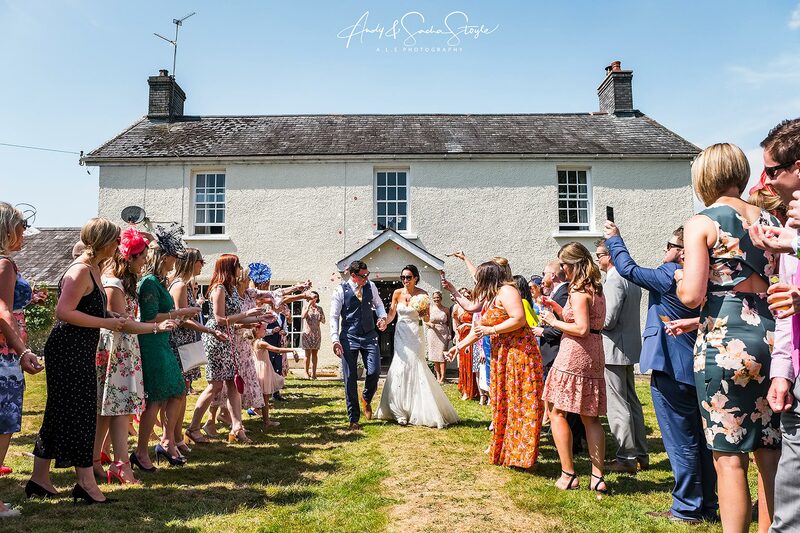 A slideshow selection of images from South Wales Wedding Photographers Andy & Sacha Stoyle taken at a recent summer wedding at the majestic Caerphilly Castle, South Wales and then back at the farm in St. Fagans. Bridesmaid Robes from the Bridal Outlet, Flowers by an Aunt, Cake by a cousin, Catering by Strawberry Fields, Caricatures by Danny Byrne, Cars by iDoo Wedding Cars, Cowbridge Male Voice Choir. Wow, what a scorcher of a day, so much fun to be part of. Big Thank you to Beth & John for entrusting us to capture their special day. To view the full gallery of wedding day images you will need to obtain a case-sensitive password from Beth & John, please click here.